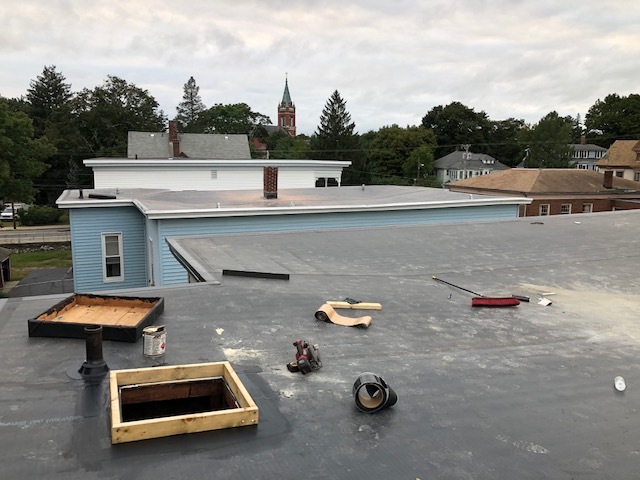 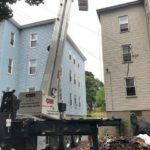 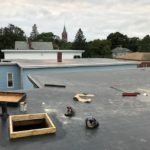 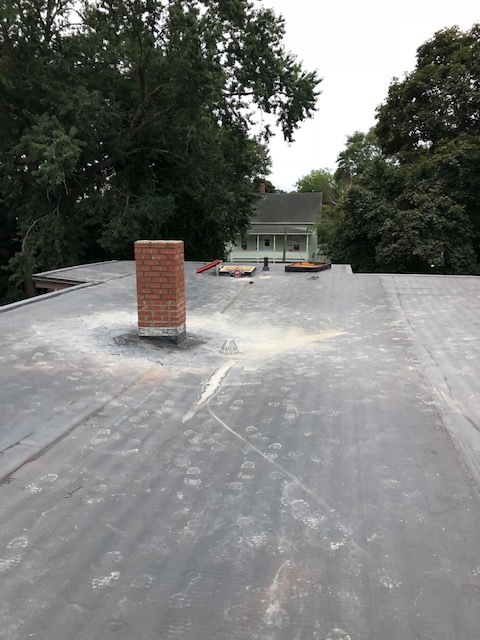 Roofing in Woonsocket, Rhode Island – JOHN THE ROOFER, CO.
We recently completed two flat-roof replacements in Woonsocket, RI using RPI, 060 ga rubber roofing. 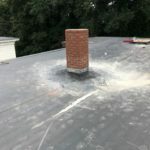 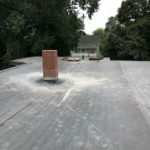 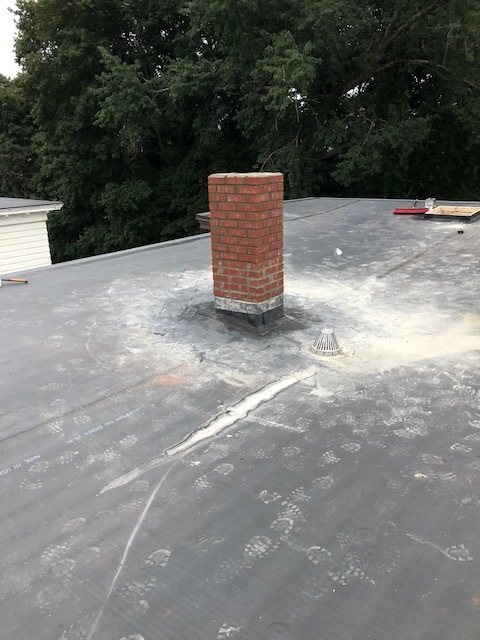 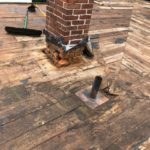 Many years ago this chimney in Woonsocket, RI had been repointed, however, the worker never went (or looked) below the lead flashing...this is what they would have found ! 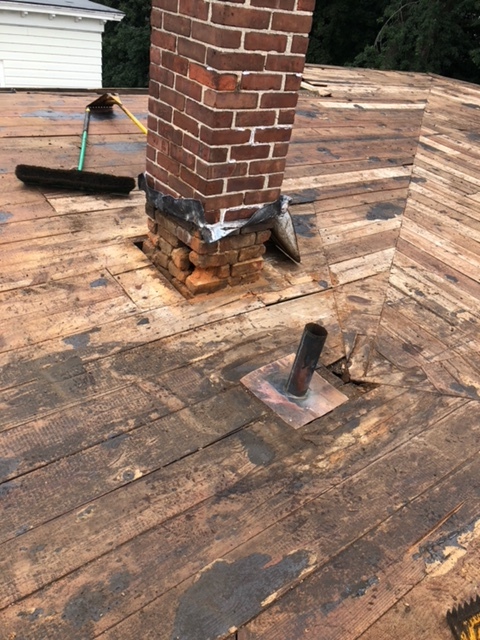 We had our guys rebuild it !!! 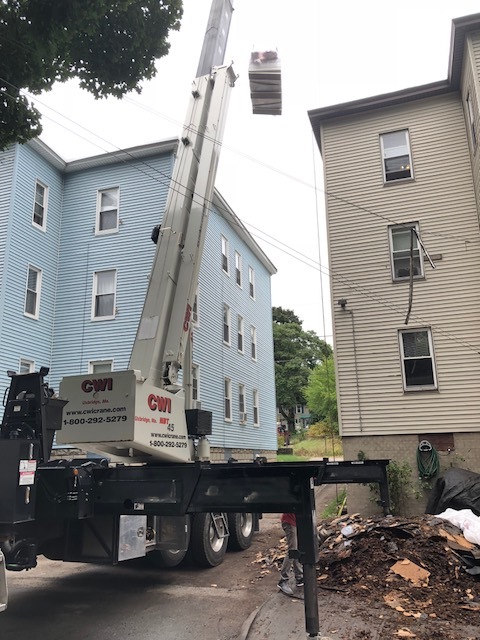 CWI crane service placed the material on the two roofs for us !